I often travel alone — for work, for fun — and I don't want to miss out on incredible restaurants. But, well, I'm dining alone. How can I do it without feeling like all eyes in the room are on the lonely guy at the table? Many years ago, we were lucky enough to eat dinner with friends at the night after it had been named the world's best restaurant on the San Pellegrino list. The meal was a marvel, as was watching the solo diner two tables over, who sat through the same four-hour meal by himself, as blissed out on the meal as we were. That's someone who knows how to live, we thought. To answer your question, we turned to Shari Bayer, a restaurant publicist and producer and host of on Heritage Radio Network, who planned an unforgettable trip to Spain just to eat alone. (Read about it on Popupla.) Here are her tips. 1. Be comfortable in your own skin. If you are not totally comfortable, act as if. 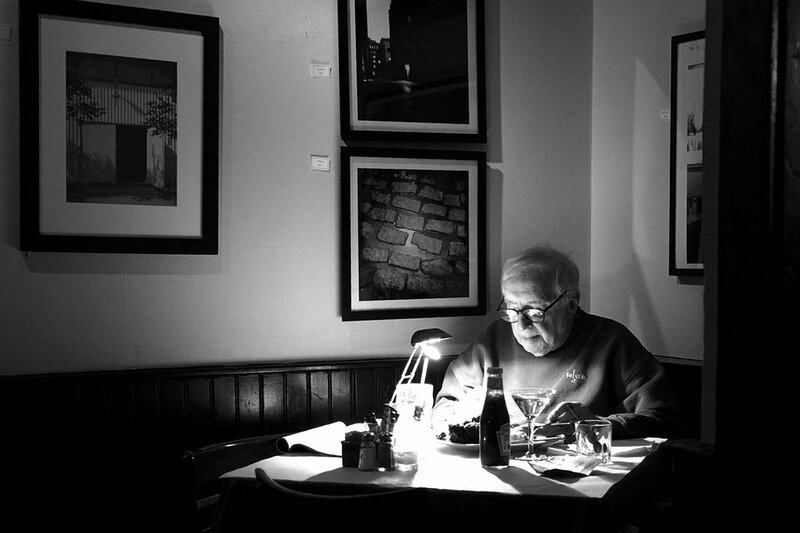 The more you dine alone, the easier it gets. 2. Ignore anyone who you think is looking at you and wondering why you're dining alone. They're probably just jealous. 3. Be friendly with the staff. They are there to make sure you have the best experience. 4. When appropriate, engage with fellow diners. Small talk can go a long way. 5. If you want, bring something to read. A magazine, a book, or your phone (with the volume off). 6. Request a side, corner, or window table where you will have a view and will not feel like the room centerpiece. 7. If you're so inclined, capture your experience with photos and share them on social media outlets. People will enjoy living vicariously through you. 8. Sit at the chef's counter or bar, when possible. It will provide instant entertainment and ease in making friends. 9. Above all, don't forget: You are a paying customer and deserve the same great treatment as everyone else. Speak up if you need to.